How do nutrition needs change for women throughout their lifespan? During adolescence and early adulthood, women need to consume foods rich in calcium to build peak (maximum) bone mass. This will reduce the risk of developing osteoporosis, a progressive condition where there is a loss of bone that leaves those affected more susceptible to fractures. Women also need an adequate iron intake because they lose iron through menstruation. Women also need an adequate intake of calories to support energy and nutritional needs in order for the body to function properly. The amount of calories that an individual needs varies for each person and is based on age, gender and activity level. As a general recommendation, women between 23 and 50 years of age generally need between 1,700 and 2,200 calories per day to maintain their current energy needs and body weight. Older women generally require fewer calories to support and sustain energy needs. Consuming fewer than 1,500 calories per day, even in attempts to lose weight, can put women at nutritional risk and can result in malnutrition and poor health. For more information on how to calculate one`s nutritional needs, go to http://www.mypyramid.gov/ and insert your personal information. The 2005 Dietary Guidelines for Americans is another reference or guide to assist you in learning to eat a balanced and nutritious diet for good health. 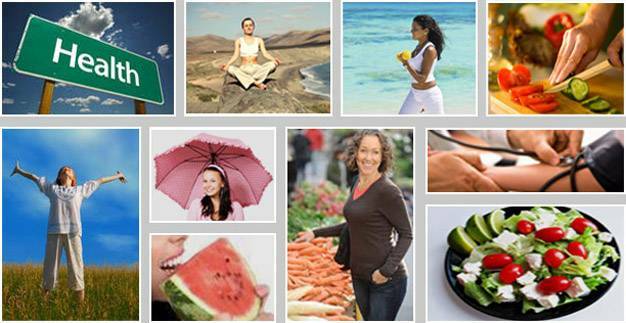 A well-balanced diet, comprised of a variety of foods, adequately meets women`s needs for vitamins, minerals and energy. For good health, women need to pay special attention to calcium, iron and folate (folic acid) intake. A healthy diet also should minimize the intake of fat and sugar. Diets high in saturated or trans fat can promote high levels of blood cholesterol and increase risk for heart disease. A diet that includes high sugar provides empty calories, or calories that do not provide any nutritional value and often times replace more nutritious food selections. Here are some more suggestions for healthy eating. Balance the food you eat with physical activity. Maintain a healthy body weight. Choose a diet with plenty of whole-grain products, vegetables and fruits. How can I determine how much fat is OK to eat daily? Are dietary supplements such as vitamins and minerals important in a healthy diet? How do you know which weight-loss programs are safe? The diet should include all of the recommended daily allowances for vitamins, minerals and protein and be low-calorie, not low in essential foodstuffs. The program should direct an individual toward a slow, steady weight loss unless your doctor feels your particular health condition would benefit from more rapid weight loss. Expect to lose only about a pound a week after the first week or two. You should be evaluated and seen by your doctor before beginning any weight-loss program. Your physician also should be able to advise you on the need for weight loss, the appropriateness of the program you have in mind and a sensible weight loss goal. The program should include plans for weight maintenance after the loss phase is over. The program should assist in encouraging healthy lifestyle behaviors such as changing your dietary habits and level of physical activity to enhance the likelihood of permanently adopting good health habits. A commercial weight-loss program should provide a detailed statement of fees and costs and of any additional items and should be recognized as safe by the FDA. Why is iron important for women? Women need more of this mineral because they lose an average of 15 to 20 milligrams of iron each month during menstruation. Without enough iron, iron deficiency anemia can develop and cause symptoms that include fatigue and headaches. After menopause, body iron generally increases. Therefore, iron deficiency in women older than 50 years of age may indicate blood loss from another source and should be checked by a physician. Animal products, such as meat, fish and poultry are good and important sources of iron. Iron from plant sources are found in peas and beans, spinach and other green leafy vegetables, potatoes, and whole-grain and iron-fortified cereal products. The addition of even relatively small amounts of meat or foods containing vitamin C substantially increases the total amount of iron absorbed from the entire meal.